When it comes to high blood pressure, also called hypertension, and diabetes there are certain things you should know. High blood pressure can often times be a silent assassin. Many times people think nothing of their blood pressure because they don’t have symptoms or feel high blood pressure and this can be misleading. The first step is understanding the importance of maintaining normal blood pressure, especially with type 2 diabetes. Then the next step is to take action to maintain your blood pressure near normal levels. Over 50% of all type 2 diabetics have high blood pressure. And many doctors have told me, that in many cases high blood pressure has come before type 2 diabetes with their patients. In fact, the damage starts at mildly elevated blood sugars in the prediabetic stage. The reason for high blood pressure with diabetes is because high blood sugar with type 2 diabetes damages the blood vessels and leads to cholesterol abnormalities. It is common for people with type 2 to have high triglyceride, low HDL, and high LDL levels. Another little-known reason why type 2 diabetes causes high blood pressure is because high insulin levels stimulate the nervous system, which then speeds up the heart and makes your blood vessels narrower, causing blood pressure to increase. Your arteries carry blood from your heart and it is the force of your blood pushing against your artery walls, hence the name blood pressure. The problem is when your blood is the pushing against your artery walls with too much force. Over time this causes damage to those walls that result in scar tissue that forms buildup and over time narrows your arteries. The end result of this is heart attack or a stroke. Your blood pressure is the highest when it pumps blood into your arteries. This is the systolic pressure, the top number in your blood pressure reading. When your heart is resting, which is in between beats, you have a lower pressure. This is your diastolic number, the bottom number in your blood pressure reading. 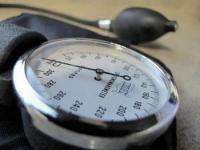 Many times high blood pressure can be like a silent assassin. The reason I say this is because for the most part high blood pressure doesn’t have any symptoms. So you can be walking around with very high blood pressure and not even know it. Most people go about their daily activities and it isn’t until they see their family doctor that they discover they have high blood pressure. If you want to improve your blood pressure it is usually as simple as improving the things that cause it in the first place. Such as diabetes, lowering high blood sugar, eating foods lower in sodium, limiting alcohol, quitting smoking, exercising and losing weight. Another good way to improve your blood pressure is to increase your potassium intake. Increasing your potassium helps to balance the levels of sodium in the body. You can do this by adding foods high in potassium into your diet. One of my favorite high potassium foods is spinach.